Performers have a great many opportunities to do their thing this summer! 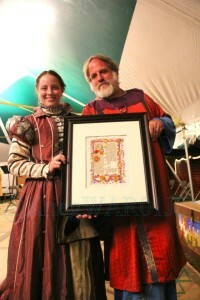 Ruby Joust – Memorial Day Weekend – Master Richard Wyn, this year’s Kingdom Bard, is hosting a competition for bards! He requests that each Barony send their Performing Arts or Bardic Champion or a representative for them to come compete. It is scheduled to take place on Sunday. Richard sez: “You will be expected to perform three pieces: a documented period piece ( prior to 1620) , a Historical piece (either SCA or Period), and a performance to inspire others. Storytelling and Bardic Workshop – June 9 – http://atlantia.sca.org/137-events/167-event-flyer?event_id=3d5d23f0 The Barony of Nottinghil Cuil hosts this interactive workshop for story tellers, poets, and others interested in the bardic arts. Whether you are already performing, or are interested in giving it a try, come and learn and exchange ideas. 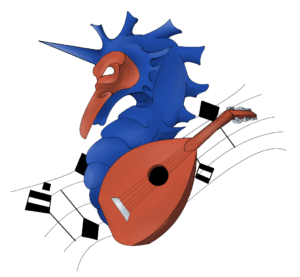 Summer University – June 16 – https://university.atlantia.sca.org/ The Barony of Black Diamond hosts an amazing 99th session of the Atlantia University with a TON of great music, dance, theater, and other performing classes! When the catalog is released in a few days, check it out! Performers’ Revel South – June 30 – http://windmastershill.org/calendar/events/performers-revel-south/ The Canton of Elvegast again brings you a day full of JUST PERFORMING! A mildly structured day of relaxing, some workshops, and lot of playing! King’s Assessments – July 6-8 – http://www.black-diamond.atlantia.sca.org/assessments/ Something fun always happens in the realms of bardic and dance in Black Diamond! And that brings us to Pennsic! 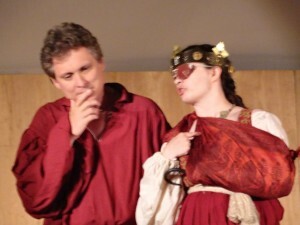 If you need any help finding your way around Pennsic as a Performer, you can always ask this year’s new Dean of Performing Arts, Lady Scholastica Joycours! Have fun performing this summer!! Videos of Performances at KASF 2016! The Atlantia Kingdom Art and Sciences Festival 2016 hosted an amazing extravaganza for Performing Arts! No less than 26 performers showed the populace of Atlantia a Demo Hour of the many ways Performing Arts shows up in the SCA, and the hour before that was filled with impressive performances from groups and soloists! More recordings of the Commedia dell’ Arte mini-class/demo and the period scenario presented by i Firenzi are coming soon! Many thanks to Lord Manus MacDhai for processing these videos and making them available to us all! Thanks also to Mistress Ceridwen ferch Owain for helping us organize this extravaganza at KASF! Most performances did get produced according to plan as laid out in this blog post before Pennsic: http://perform.atlantia.sca.org/?p=152 . Upon arrival at Pennsic, the staff discovered a significant infestation of hornets throughout the Amphitheater requiring a move of all Peace Week activities from the Amphitheater to the Great Hall. However, reports of our own Lord Richard Wynn’s first solo concert and Lady Scholastica’s Shakespeare Open Mike Night in that space were outstandingly positive! The commedia dell’ arte rehearsals in that space also found it excellent, so the hornet issue did not get in the way of our fun during Peace Week! Lord Manus MacDhai and I did perform as planned in i Verdi Confusi’s Saturday night commedia dell’ arte play, but what was not planned was the autographing scene where I experienced a “Pennsic First” of autographing a man’s chest. Tis the joy of improv! King Stephan of Lochac playing Pantalone with the Iron Commedia cast of Iron Commedia Session #1 of Pennsic 44! Another surprise from the commedia track came when Isabella the Pirate Queen, also serving as the Assistant Director of the Pennsic Commedia All Stars Troupe, broke her arm during the first 5 minutes rehearsing with her new band of pirates. Twenty volunteer pirates were given three days with the Assistant Director to create, learn, and rehearse their parts for the big Thursday night commedia show, but their fearless leader fell prey to the deep, hard mud ruts in the ground around the Amphitheater left after the last rock music event at Cooper’s Lake Campground by tripping over a rut and falling on her wrist. Crazy Pennsic luck being what it is, the Pennsic Commedia All Stars cast happened to include a blacksmithing Laurel who had a working forge back at camp, so the next rehearsal included a custom made hook for our Pirate Queen. Her final costume included a custom ladies’ pirate hook, personalized eye patch, borrowed ducal coronet, and spiffy red Italian gown. Best looking Pirate Queen Pennsic’s ever seen! Isabella the Pirate Queen with patch, coronet, and custom hook! Master Efenwealt and Mistress Dervila did, in fact, produce their retelling of the legendary tale “Love Will Return; The Story of Heloise & Abelard” with the new sources and 100+ letters Dervila discovered. What we didn’t know ahead of time was how the various skills of Maîtresse Aénor d’Anjou would add to the beauty of the presentation and how support of indigogo supporters can make a simple Pennsic performance last forever. Watch for the crowdfunded DVD that includes footage from this performance to launch next summer. Our own Lord Yakov did adjust to unexpected changes in his modern employment schedule and change his originally scheduled performance into a private camp bardic performance that had not been promoted enough for the amazing brilliance it ended up being! About 25 people got to witness Yakov’s telling of a reconstruction of a period collection of stories called “Sefer Hashashuim” (“The Book of Delights”) written by the Jewish physician Joseph Zabara in Seville in about 1200. The collection was originally written in poetic form, with a framing story providing a nested “story-within-a-story” structure similar to that of the Arabian Nights. In reconstructing the collection as a performance, he eliminated the poetic form and somewhat edited and restructured the story to enhance performability. For this reason, it is a reconstruction and re-editing and not an actual translation. This beautiful performance was enjoyed by a small group of lucky Pennsic campers who got the message about rescheduling, and hopefully, Yakov will be able to share it again back home in Atlantia for the rest of us. And it was not a surprise at all that our dear friend, Margherita Battistina, was successfully elevated to the Order of the Laurel for her accomplishments in the art of European Dance as predicted and planned. The vigil was lovely, and I enjoyed jumping in at the end, thanks to the efforts of many including Master Solvar, Lady Marion the Red, Baron Lorenzo, Master Stephan, and Lady Evelynn. The elevation ceremony in the dance tent was attended by a magnificent inter-kingdom dance community that testifies to Margherita’s great positive impact on a great many lovers of dance. Mistress Margherita, the first Atlantia recognized Dance Laurel in 16 years! 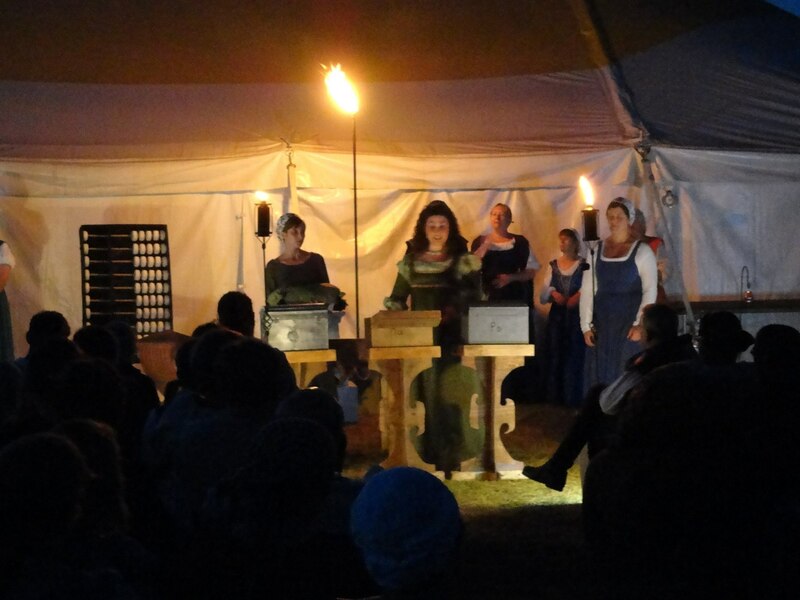 A final big surprise on the final Friday of Pennsic, for the final show, the Known World Players enjoyed the thrill of seeing the electric power to Cooper’s Lake Campground go out half an hour before their 8:00pm production of the Merchant of Venice. Seeing the sun set and leaving the stage in darkness, but never questioning the dedication to “The Show Must Go On!”, the KWP troupe, Pennsic Performing Arts staff, and various supporters moved the entire production out into the courtyard and established portable lighting. A combination of tiki torches, a single propane torch, and Manus MacDhai’s camp lantern footlights normally used at the Amphitheater created enough light in the right places for the actors to be seen. The instant teamwork brought to life a magical Shakespeare environment that became beautiful and memorable for all. 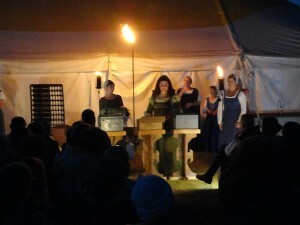 Known World Players producing Merchant of Venice with torchlight and camp lantern footlights. 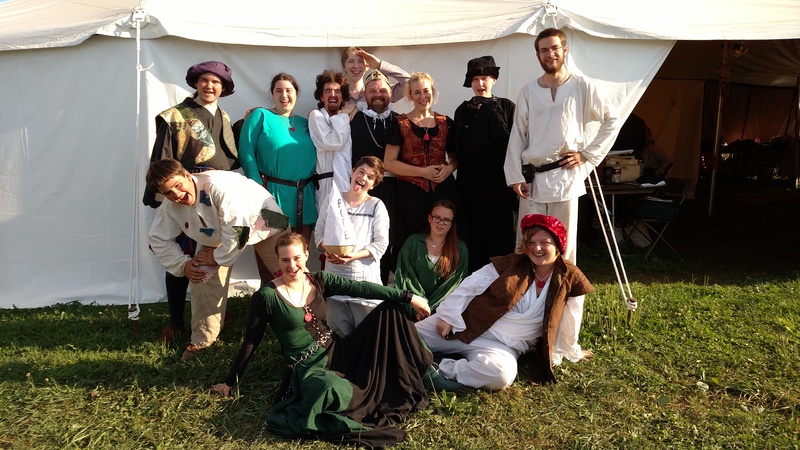 So, if you missed Pennsic, or if you missed the many Atlantians performing beautiful, funny, and impressive works of art at Pennsic, find them here at home and ask them for a repeat performance!